Son of Fred and Martha Jane Ingham; husband of Isabella Ingham, of 119, Nairne St., Burnley. 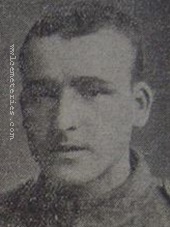 2nd April 1918, aged 22. Son of G. J. O. and Mary Elizabeth Isaac, of Back Lane, Black Torrington, Beaworthy, Devon. 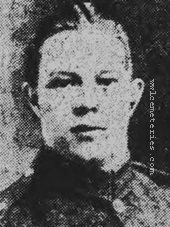 Son of William and C. Jackson, of 136, Oxford Rd., Burnley. 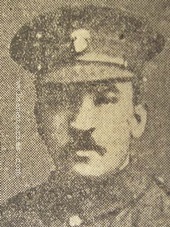 27th March 1918, aged 41. 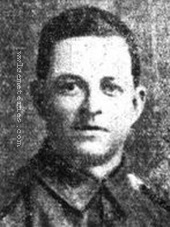 Lived at 48a Clarence Street, Burnley, he enlisted November 1914 and prior to that had been employed as a weaver at Veevers', Brierfield. He left a widow and seven children. 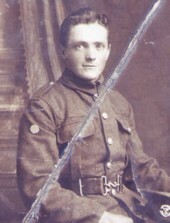 10th April 1918, aged 21. Son of William and Mary Jane Johnson, of 220, Colne Rd., Burnley. 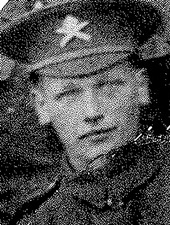 Son of Col. H. V. Kent, of Wickhamhreaux Place, Kent. 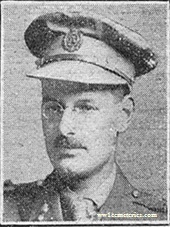 Richard Brereton Marriott-Watson M. C.
One of the war poets, his most known poem is entitled "Kismet"
Son of Sidney and Emily Millard, of 42, Flint St., Poplar, London. 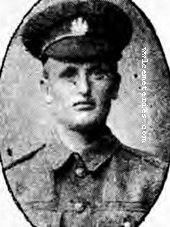 Pte Millard died on 24th March 1918. I was told many years ago by my grandmother that he was shot by a sniper's bullet but I have no written confirmation of this. 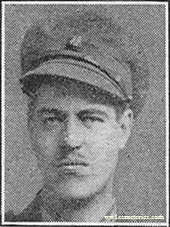 22nd March 1918, aged 32. 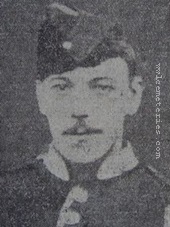 Son of James and Margaret Moore, husband of Annie Moore, of 15, Lisbon St., Burnley. 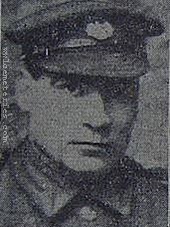 Son of Mr. and Mrs. Robert Nutter, of 32, School Lane, Mereclough, Cliviger, Burnley. 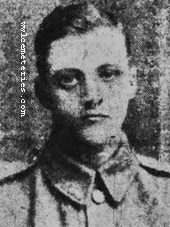 29th March 1918, aged 19. Son of Mrs. Emma Pammenter, of The Square, Quy, Cambs. Son of Wilson and Agnes Pate, of 436, Briercliffe Rd., Harle Syke, Burnley, Lancs. 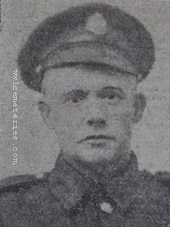 Previously wounded in 1916. 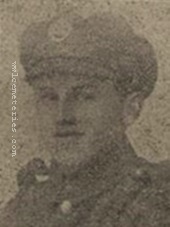 26th March 1918, aged 20. Son of James and Annie Phillpotts, of 5, New Walk, Totnes, Devon. 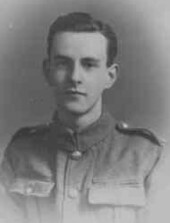 21st March 1918, aged 36. Son of John and Ellen Redhead of Sabden, Lancs. 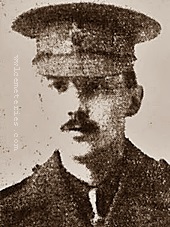 Enlisted 6th August, 1914. Prior to enlisting he was employed at Messrs. J. Stuttard & Son's Victoria Mill, Sabden. 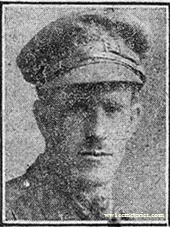 21st March 1918, aged 34. 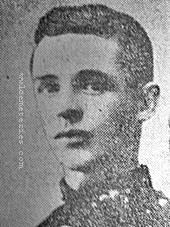 Son of John and Margaret Reid, of 15, Chapel St., Rishton, Blackburn. 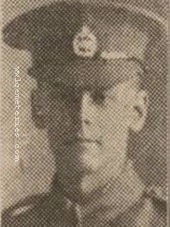 Army Form B 104-82A records that he was missing from the 21st March to the 3rd April 1918 and that his death took place between those dates. His friend reported to the family that he had been wounded and had been taken to a field hospital. Shortly thereafter the hospital received a direct hit and there was no record or knowledge of his whereabouts after that time. 4th April 1918, aged 29. 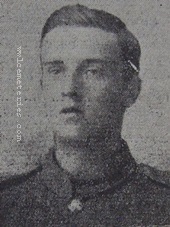 Son of Maj. Raymond Ross and Nellie Josephine Ross, of Rose Hill House, Burnley.